Dr Jon Wilson. CLAHRC Fellow 2011. 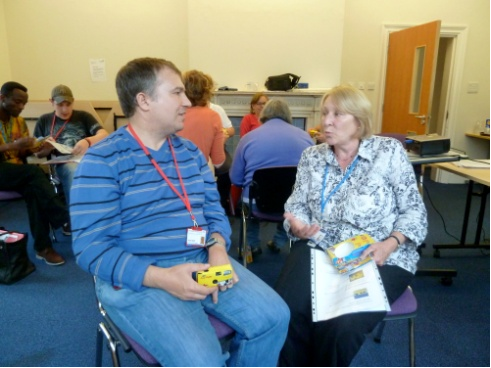 The adult theme of the CLAHRC has established a Service User Advisory Group(SUAG), which involves nine service users with mild or moderate intellectual disabilities (ID). The Advisers, who were identified from across Cambridgeshire through our collaboration with the integrated NHS and LA teams managed by the Cambridgeshire Learning Disability Partnership, work with the clinicians, clinical academics and researchers in the CLAHRC CP on a study examining how integrated community-based specialist teams can best support people with intellectual disabilities and complex and enduring needs.Our Advisers bring a range of relevant experiences to the group, including different histories of contact with the specialist community teams, severe physical health problems and/or additional physical disabilities, communication difficulties, mental health problems, and aggressive or sexually inappropriate behaviours that have led to their exclusion from specialist ID services and/or contact with the criminal justice system. 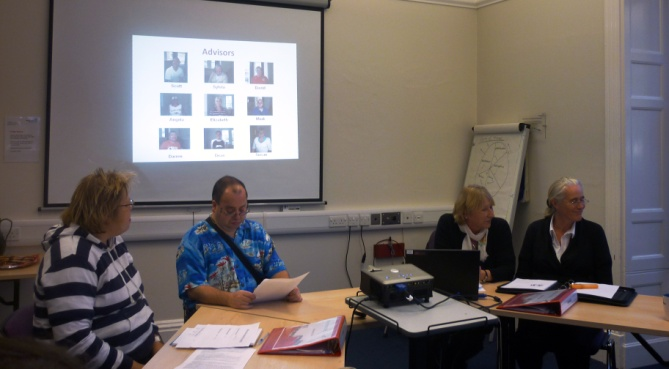 All of them experience or have experienced loneliness, unemployment, social deprivation, exploitation, discrimination and marginalisation; none has been involved in self-advocacy activities before. The group meets every two months. In our meetings, we use accessible materials to carry out a range of activities. These start from the experiences of our Advisers and have included both general team-building and skills in working together, and more specific training in quantitative and qualitative research methodologies. For example, Advisers have carried out research within the group and seen how this can be presented visually as bar or pie charts. They have also been involved in experiences, such as travelling by train in order to attend the meetings more independently, and presentations to increase their skills and confidence. At the moment, we are working together to explore visual methodologies. We try hard to support the Advisers, using phone calls and home visits, and encourage them to attend the meetings, even when they feel overwhelmed by their difficulties. So far, we have been successful, and all of those who came to the initial ‘information event’ more than a year ago, remain active members of the SUAG and attend regularly.